Tin House Books, 9781935639510, 108pp. The poems in Portuguese began while Brandon rode city buses around Seattle, and were inspired by his fellow passengers--their voices and their minds, their faces and their bodies, their exuberances and infirmities, and the ways in which they enlivened and darkened the days at once. It was with and within these people that poetry seemed most alive. At the same time, they began as responses to the words and writings of visual artists, mostly painters, whom Brandon was reading while riding the bus, especially Etel Adnan, Eug ne Delacroix, Alberto Giacometti, Paul Klee, and Joan Mitchell, all of whom appear in the book. It was with and within these people, also, that poetry seemed most alive. In both senses, Portuguese is a work of color. Portuguese owes also a debt to a visit to Beirut, Lebanon (2009); six months spent in a cabin in the woods of western Maine (2010-2011); and the Japanese poets Kazuko Shiraishi, Ryuichi Tamura and Minoru Yoshioka, and their translators. It was written primarily in Seattle, Washington; Beirut, Lebanon; and Weld, Maine, though revised in Albany, California; Beacon, New York; and St. Louis, Missouri. In that sense, Portuguese is a travelogue, as well as a work of restlessness. Throughout writing the poems that became Portuguese, the presiding struggle was with poetry itself--the form and its impulses--voice and mind, face and body, exuberance and infirmity--as well as with the act of writing. The book actually began in the early 1980s, while on the bus to elementary school in a small town in New England, when Brandon was taunted for being "Portuguese." In that sense, Portuguese returns its author to this moment in which he felt challenged to become what he was being called, however falsely, and despite feeling confused, flushed and afraid. In that sense, Portuguese is a work of crossdressing. However, Portuguese is both more and less than all these things. It was--and is--a way to keep up with life in the form of drawing observations and feelings on paper, and to give form to the energy making up some part of memory. It is the fourth book in a series that began with The Alps, The Girl Without Arms, and O Bon. In this sense--and in all those above--it is an act of preservation, and therefore a work for his friends, his family, and for love. Brandon Shimoda is the author of three previous books of poetry--"O Bon" (Litmus Press, 2011), "The Girl Without Arms" (Black Ocean, 2011), and "The Alps" (Flim Forum, 2008)--among other solo and collaborative works in print, on cassette, online, and on vinyl. He is currently co-editing, with poet Thom Donovan, a retrospective collection of writings by Lebanese-American poet Etel Adnan (Nightboat Books, forthcoming). He was born in California, and has lived most recently in Maine, Taiwan, and Arizona. "Portuguese is an enthralling testament to a creative mind beset upon on all sides by attempts at calcification and deleterious circumscription. . . .Portuguese earns its grandeur with a grandeur of spirit that is nearly unparalleled in contemporary verse. Shimoda's lines are by turns gracefully aphoristic and effortlessly metonymic; they transcend their subject--the author himself--by dint of their intelligence, sensitivity, and spiritual awareness. . . .It is not too much to say that Shimoda is writing, somehow, impossibly, the universal autobiography of a nation. . . .Very highly recommended." "That day, as the sun was hallucinating, a non-Portuguese boy was being born, and all we know is that he's a poet who brings that sun back to us." "Brandon is who I would dream up as a brother if he wasn’t mine already." "Brandon Shimoda seems to be an Ur-being, a totally new creature." "Brandon Shimoda is my favorite living lyric." "Brandon Shimoda is a poet OF CREATION,” of Heimweh, a main event,” a restive-decadent bus rider of nostos and algosis these and also: Portuguese." In a temporary world” there is only one Brandon Shimoda who can 'Rationalize poetry by embodying it before me' and simultaneously 'Rake the fragments of bone.'" "This poet keeps himself within his own gaze, as the child keeps in vision the man he has yet to become, and the poems he has written emerge with a form of sight that reaches inward as far as it reaches outward, self's innermost history to this outward moment we call 'now.'" "Looking into the young Brandon Shimoda’s eyes I see in a starless night sky the full moon circling." "Unless that's a bird on his head, he's stolen my hairmakes you wonder about a lot of things." "These poems are what a person might think before slipping into grey dream-visions of their own unborn children." "Sometimes there is a poet in service to deliver everything you want to taste in the world. Brandon Shimoda is such a poet." 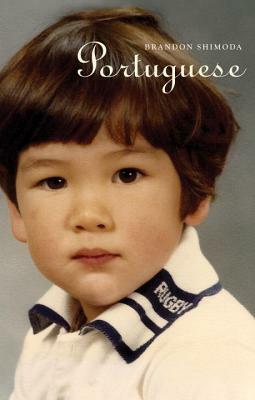 "Brandon Shimoda has she-she’d a crèche of earthly delights vastly libidinal: ravishing, ceremonial word formations, not withstanding the presence of wrath like a raw cake, sponging. BRENDA IIJIMA. Brandon Shimoda: He's SWAMP." "I smell the peat of old woods; two boys & diesel in shallow cups, two girls & bone in twiggy beds." "WISE AND SASSY, THIS LITTLE BOY! HIS MOUTH!" "Yes: in Brandon Shimoda's work poems become further worlds and not vice versa." "Brandon's restlessness translates into disruptive, migratory syntax that defies identity, its logic." "Here he is again, Shimoda, weaving, wiring, rigging the "gentle wrath of home" into all things." "Brandon Shimoda did not write this book, he wrestled it from the bad, holy woman standing in the purple vetch." "UNITED SHIMODA IS UNITING THE WORLD." "I wish these poems had not been written."